Practice and reinforce the skills you are learning in classes. In Practice Play sessions an adult is required to attend the class with the student. Sessions go for 45mins. There is teacher in the water to guide you through appropriate skills and assist with swimming technique as needed. The pool is set up with lots of toys and teaching aids that are used in classes. 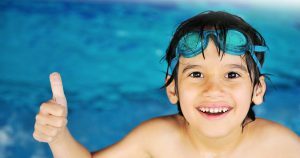 Under parental supervision, children can explore, develop and improve their water skills through self-paced practice and play. We learn through practice. We retain through play. Mont Albert North: Saturdays 5.00-5.45pm. For more information and to enrol CLICK HERE.